As adults we quickly grow tired of doing the same things over and over again so wouldn’t it make sense for kids to be the exact same way? 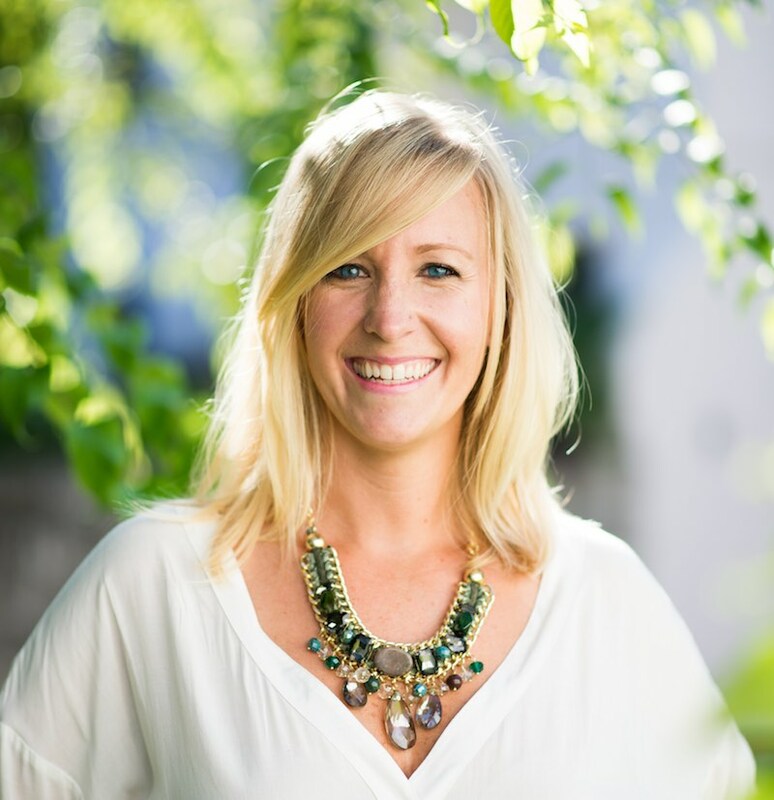 Sometimes we get caught on autopilot and expect that if we get our kids the same activities that they will always have the same reaction but this isn’t the case. Life is about experiences so that means we have to continuously mix things up! However, experiences don’t have to be costly. I’ve found 8 activities that can be put together with items from the Dollar Store that will keep both you and your kids busy. The goal of these hacks isn’t just to keep your kids busy but to also keep them entertained. It’s too easy to fall into the trap of plopping them down in front of a TV to keep them busy. You want to provide some type of stimulation so they don’t turn into mindless zombies of the future. 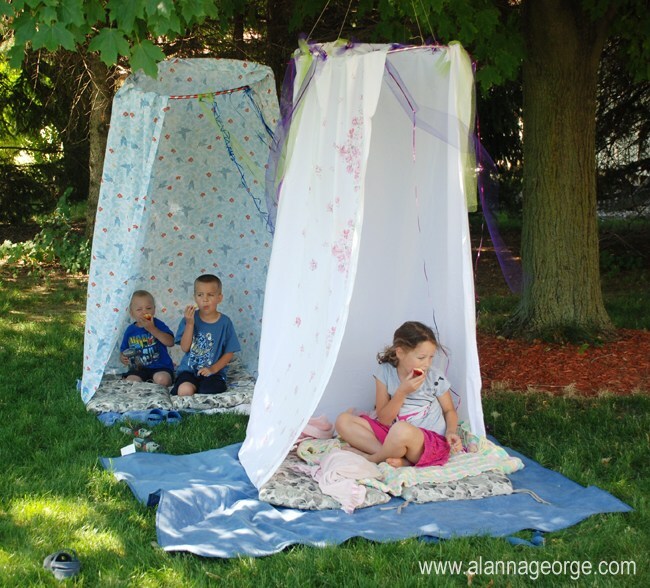 Children love hideouts and with these Hoola Hoop Hideouts, your kid’s will enjoy hours of fun outdoors. From start to finish your kids will be excited to create and design their own personal Hoola Hoop Hideout. All you need is a hula hoop, safety pins, twine or rope, tulle and/or ribbon, sheets, scissors, cushions, and blankets. 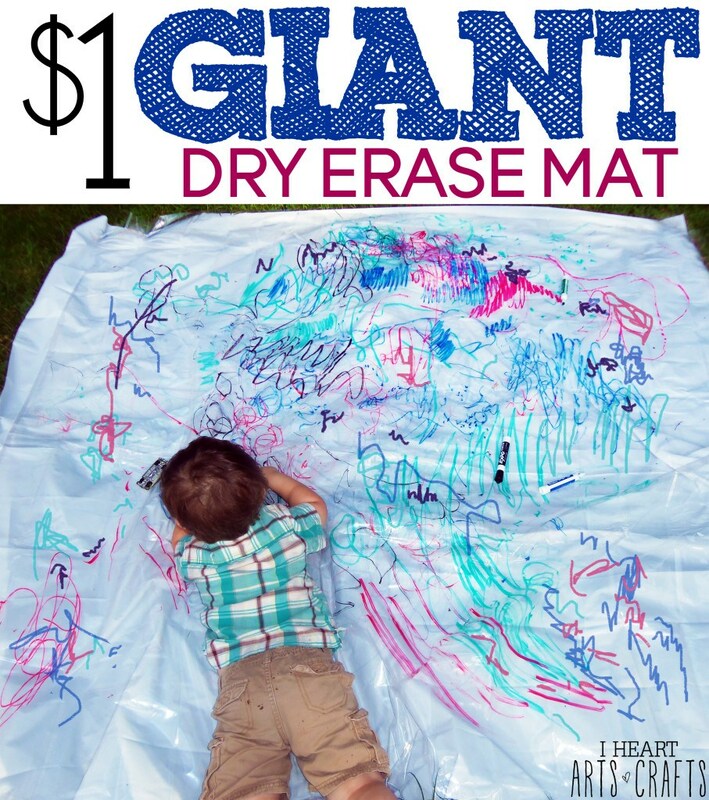 Looking for something to keep the kiddos busy on those rainy days? Well, look no further this dollar store hack will absolutely come in handy! All you need is clear vinyl shower curtain liner, which you can find at a local dollar store for only $1, and washable non-toxic dry erase markers. 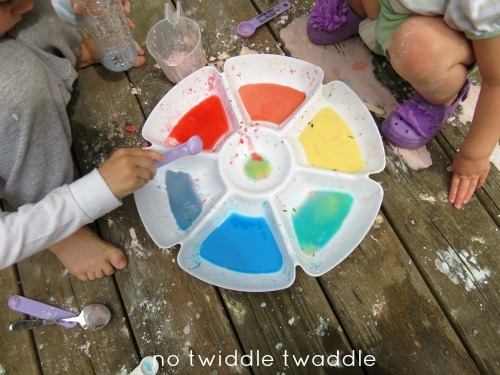 Wonderful, wet, and messy is a perfect way to keep any kid busy for hours. By mixing food coloring with cornstarch and water is one of those perfect kids’ activities that keep them busy while teaching them a thing or two. This is such a genius way to keep the kids busy even into the Fall. Hula Hoop Croquet is a cross between kickball and croquet! You’ll enjoy watching your kids have fun all day long. This game is easy to create and everything can be picked up from the dollar store. Looking for a fun twist to the traditional tic tac toe? Frisbie Tic Tac Toe is an exciting game that will engage the kids for hours. 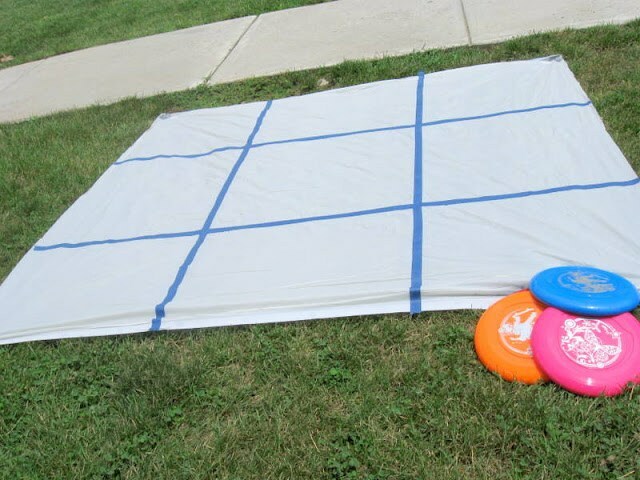 Simply make a grid using a shower curtain from a dollar store and some cheap tape. Then set 6 frisbees out, so the kids can stand behind a line and see who has the best aim! 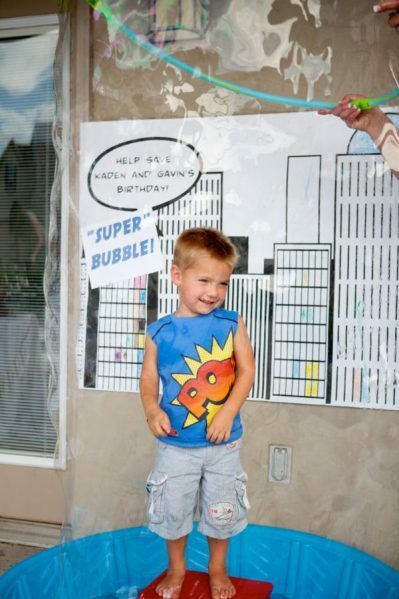 Want a super party activity that will WOW your guests? This activity is giant bubble station! It’s the perfect way to entertain all your guest, not just the kiddos. All you need is a hula hoop, children’s hard plastic swimming pool, a little dish soap, and some water. 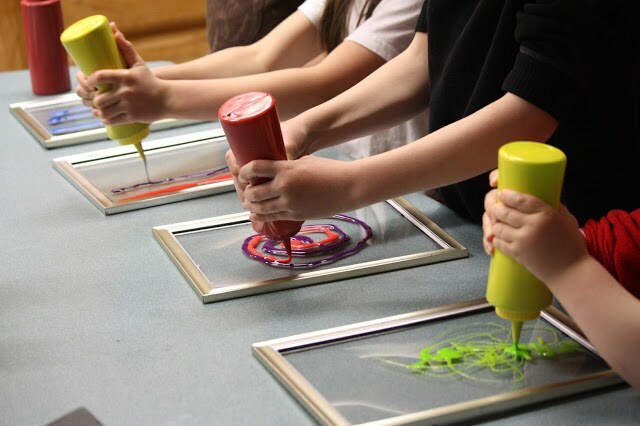 Window Art With Glue & Food Coloring is a great way to get your kids to express themselves in a fun new way. Kids of all ages will have fun enjoy creating their own mater pieces for all to see. All you need is condiment bottles from Walmart (99 cents each), dollar store picture frame, glue, and food coloring. 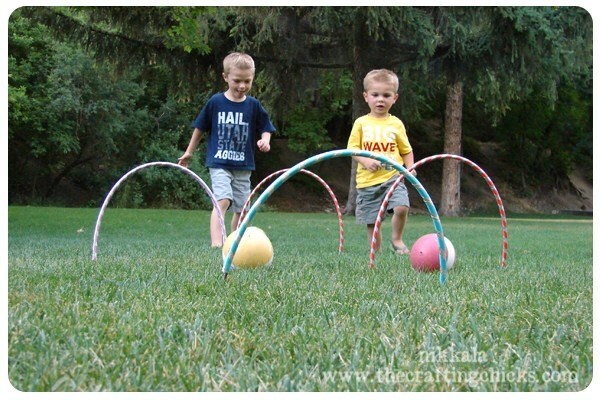 Creating an obstacle course out of pool noodles is a great way to entertain your kid outdoors. 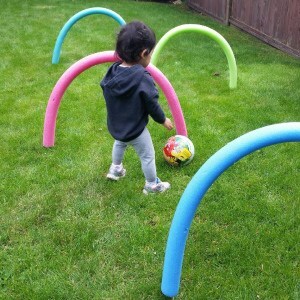 Get creative with your kids and have them kick or throw a ball through the noodles. Or try having them crawl under or jump over the noodles. With so many activities a Pool Noodle Obstacle Course is great for kids of many ages. See? Fun doesn’t have to break the bank, it just requires a bit more imagination than most adults are used to using but that’s okay because over time your imagination will get back into the flow of things. If you’ve found some other activities that you can do with inexpensive items I would love to hear about them.